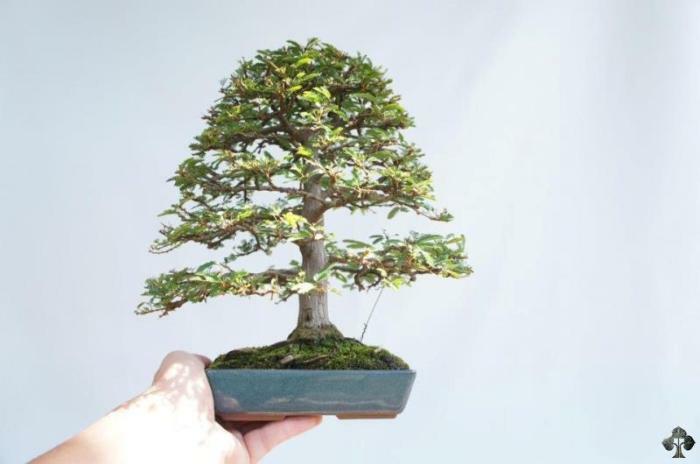 Bonsai is known for its small size, but the effort to miniaturize trees is sometimes taken to the extreme. 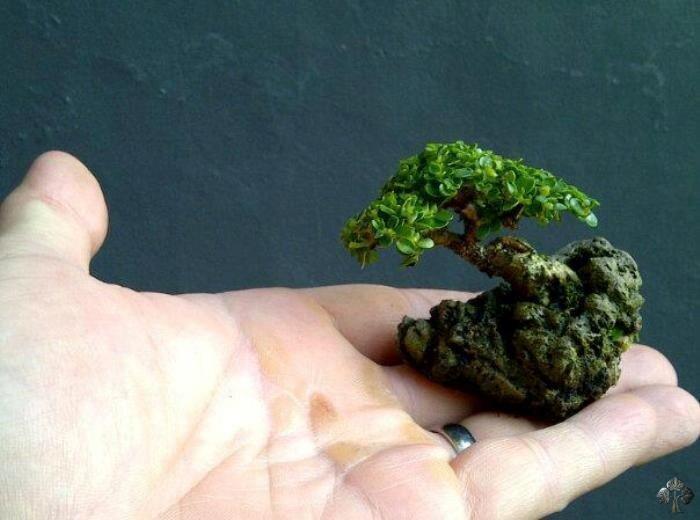 The results are tiny little trees (called Mame Bonsai, or Mini Bonsai). 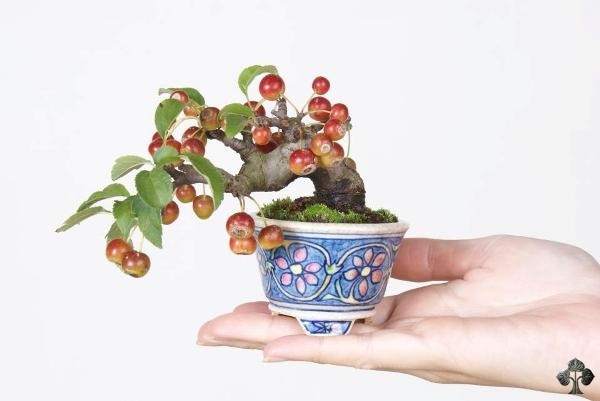 In this article we show you our top 10 of the smallest Bonsai trees. 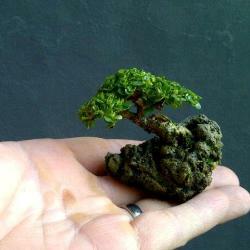 This is the smallest Bonsai tree that I know of, with a pending Guiness Record listing. 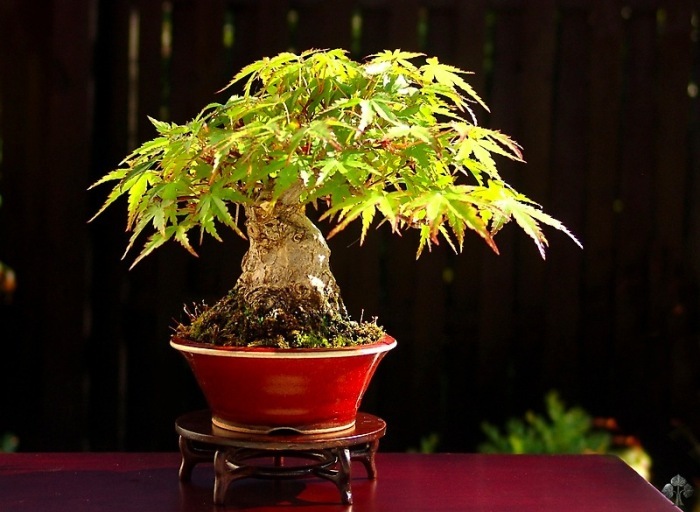 The mini-bonsai is an Acer Momiji. Photo by: Bonsaiguesthouse Osaka. 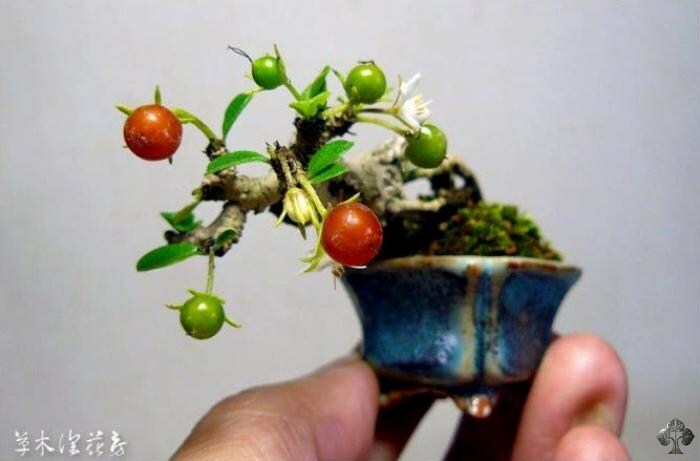 A tiny little Japanese Bonsai tree, bearing fruits. For more images, check the Shohin and Mame Gallery. By: Eric Sin. Shohin tree, most likely an Ulmus Parviflora. By: Christian de Ross. 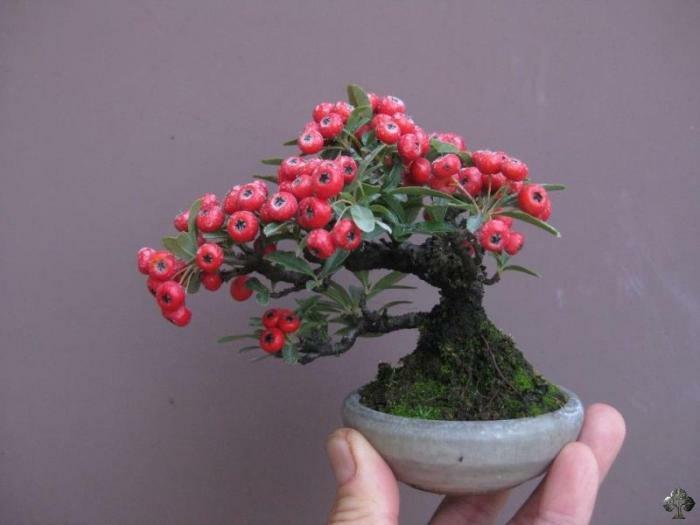 Wonderful Firethorn (Pyracantha) Bonsai. By: 盆栽鉢　春嘉. Unique composition of pot and tree; a wonderful Maple Bonsai. By: Morten Albek. 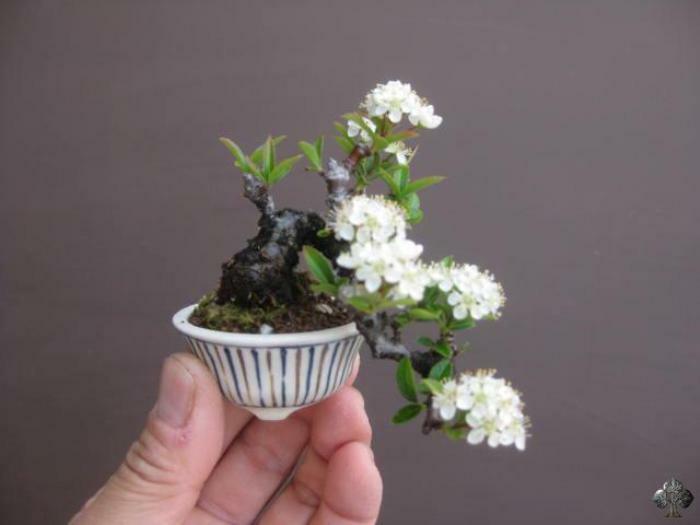 A mame Bonsai with blossoms. By: 盆栽鉢　春嘉. 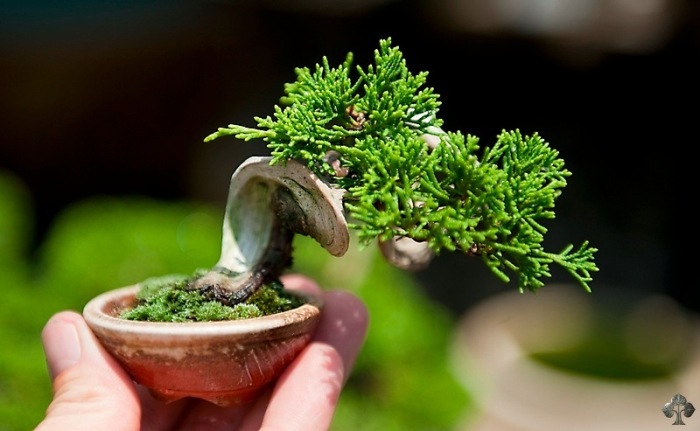 Beautiful mame bonsai on a rock. By: Jemmy Liauw. 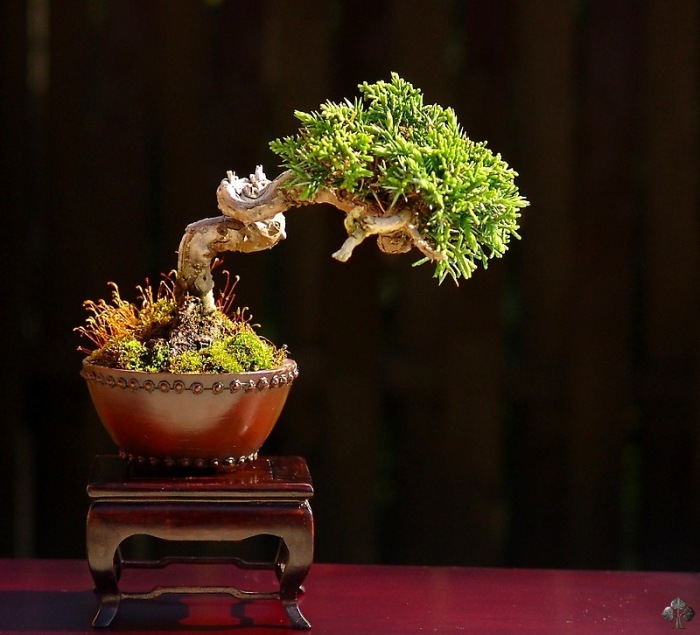 Stunning Shohin tree, a Juniper Bonsai. By: Morten Albek. 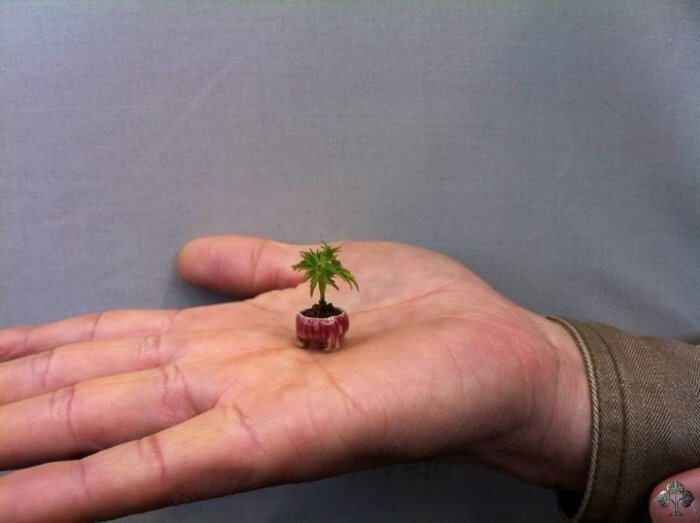 Tiny little Bonsai tree. Photo by: Morten Albek. Links:Follow us on Facebook, Google+ or Twitter.